I had a bizarre dream last night. It started of as a stress dream about work. I was sent out on an errand. While wandering the streets, I saw an old Caucasian man sipping a cup of chai (the elixir of life). I felt a sudden and unconquerable urge to buy myself a cuppa. I asked him where it was. He pointed me to a scene that made my chest constrict and my eyes tear up. Unfortunately, I had to get to work so I had to peel my eyes off, wipe off my drool and slowly walk away. While attending to boring work details, I suddenly hit upon a thought that work didn’t really care about me, so why should I care about them? It was an idea put into my head thanks to a lovely cup of chai. And so I left work and went in search of the chai wallah. Someone bumped into me and I found myself holding a key to a dilapidated old staircase. I decided I might as well climb it and see what was above. After a long “I’m going to die”climb, I reached the top. Opened the creaky door at the end of the claustrophobia inducing tunnel. What I saw next blew my mind. Instead of blue sky, the earth was filled with green, misty mountains and rivers. 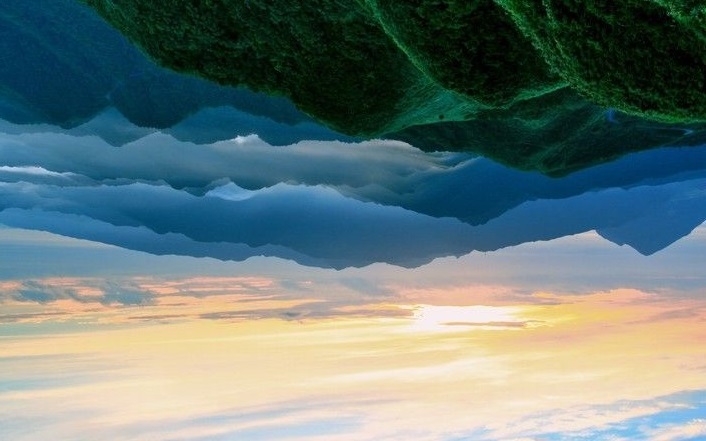 So when I looked up, I could see mountains instead of stars and the sky was where the rivers were supposed to flow. I was on a tiny ledge on a cliff. It had a tiny wall around it to stop people from accidentally falling off, I guess. And there on the corner of the ledge was the hot kettle of masala chai. I wonder what the universe is trying to tell me. Your dream is definitely a head scratcher. Were there any odd tasting mushrooms in your evening meal? No? I think Freddy Nash would say that your anti-corporate sentiments, along with your quest for a cuppa in a topsy-turvy world can only mean that Donald Trump will soon be named King of The World. But Freddy is usually wrong. I am glad Freddy isn’t the new Nostradamus. That would be scary. A Trump World? Naah! Oh wow. Freddy IS Nostradamus. Heaven help us all. Surreal! 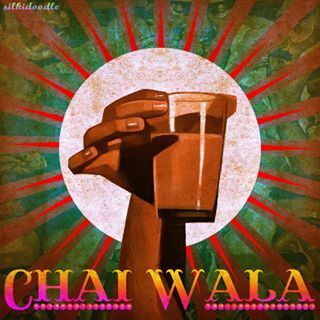 I think it’s telling you to drink more chai! Always room for more chai!